Peru is divided into various departments, sort of like states in the US. Lima (the city) is located in Lima (the department) and it is on the central coast. Lambayeque is north of Lima, about 12 hours away on a bus. Here in Peru, it’s more common to travel by bus throughout the country. If you’ve ever ridden the Greyhound, even just once like I did, surely you’re horrified that this is the standard mode of transportation. I was too. But the bus lines are actually really nice and comfortable. Taking the overnight buses works out pretty well because you arrive early in the morning to your destination and you don’t worry about paying a hotel the night before. 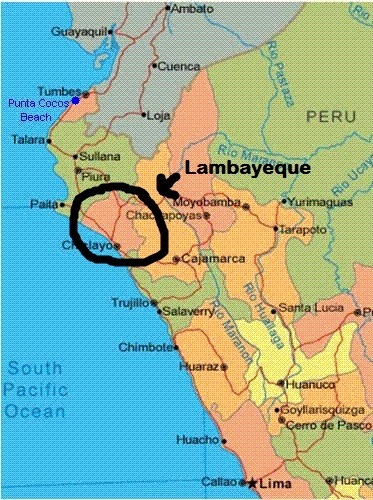 Lambayeque is on the northern coast of Peru. 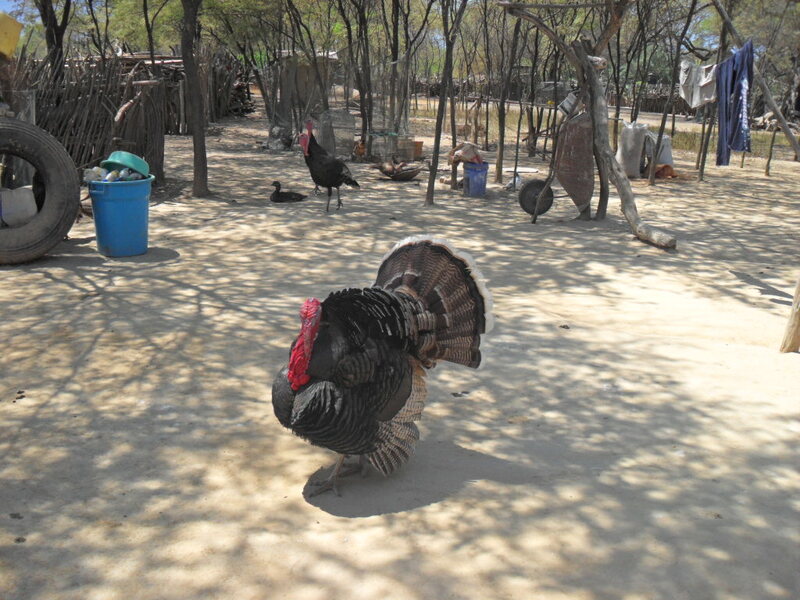 Its capital city, Chiclayo, is about 20 minutes from the beach. Chiclayo is the third or fourth biggest city in Peru, although that’s not saying much. 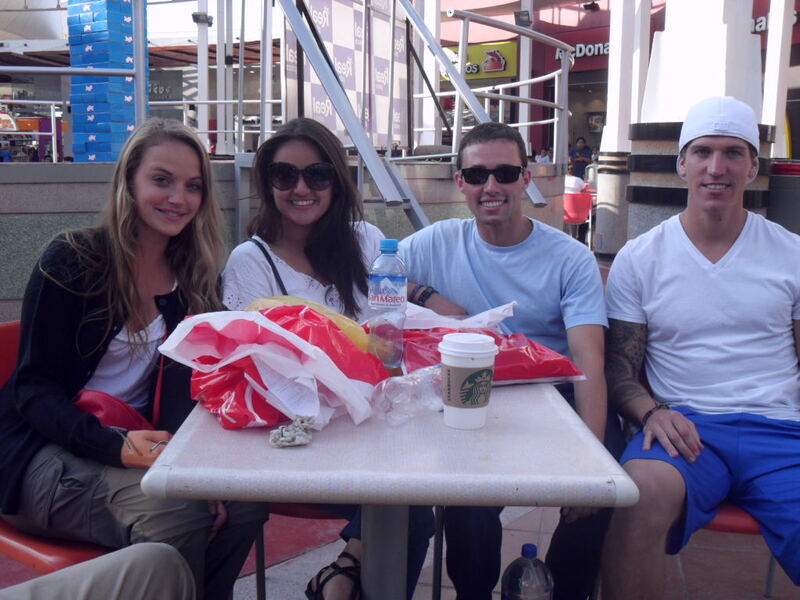 Lima is the monster metropolis (around 11 million inhabitants) that is incomparable to any other city in the country. The next biggest is Arequipa in the south and that’s about 900K inhabitants. Chiclayo has around 600K, which is much more my style. 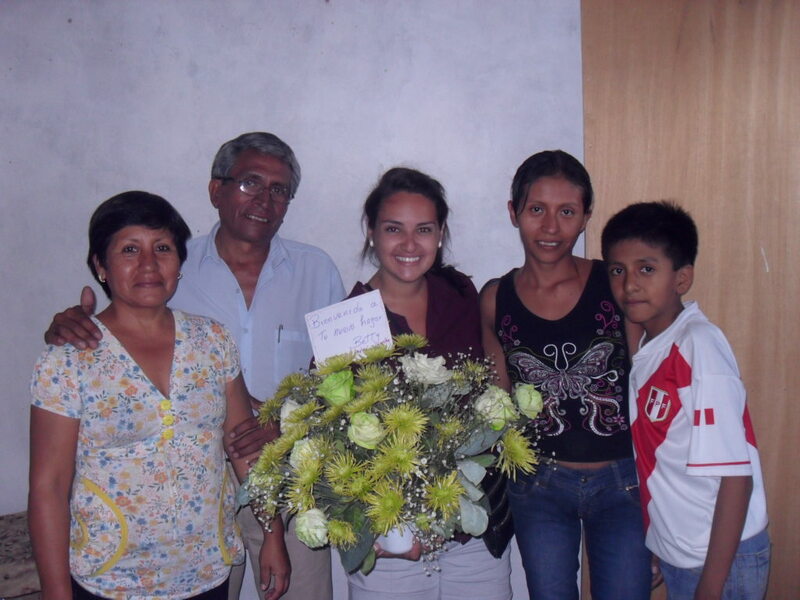 The 29 volunteers currently living in Lambayeque visit Chiclayo at least once a month for regional meetings. Others may visit more often, if they have banking needs, want to buy something at the mall or are craving some good ol’ McDonald’s. There’s also a nice movie theater and a Plaza Vea (the Peruvian version of Target) where we can spend our hard-earned living allowance. Olmos is a valley located in the north central region of Lambayeque, not quite coast, not quite mountains, but somewhere in between. 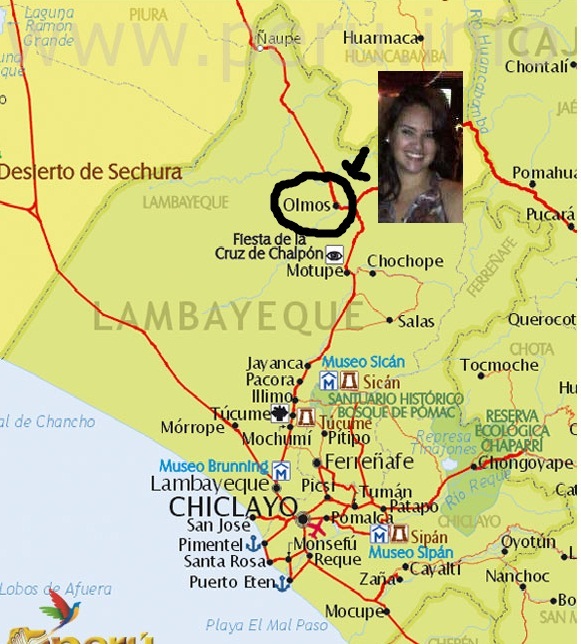 For the volunteers in Olmos to get to Chiclayo, it takes an hour and 45 minute bus ride. This might seem like a long time, but in PC Peru terms, it’s easy and accessible. Olmos has about 10,000 inhabitants within the central part of the town. There are about 40,000 residents when you count the neighboring rural areas. Like I mentioned in my previous post, FBT is a little taste of what it’s like to be a volunteer in any given community. After that, the big event during training is actually visiting your site! We found out our assignments on a Tuesday and that Saturday we were heading to our respective departments for a week-long trip meeting our host families and project counterparts. The Lambayeque Peru 19 crew (which is an amazing group of people, btw) traveled together to Chiclayo where we visited the beach and took some time to walk around. The first thing I noticed, and the best thing about the northern coast, is how sunny it is! We spent Sunday and Monday learning about the region, meeting current volunteers and preparing for ¨Socio Day¨ which is when we met our socios (counterparts) and host family members in an orientation-type meeting. After the meeting, we all head to our respective sites with our host families. My host family, Luis (Lucho) and Mari Roque, are well-known members of the Olmos community. Lucho is the president of the PTA in Colegio San Agustin and Mari is a high school teacher there. She also works with Annie (my sitemate, an environmental volunteer from Peru 18) and although they have never had a volunteer live with them, they are very familiar with Peace Corps. They have two children, Marijulia (24) and Luis (12). Marijulia and her husband, Cidro, live on the second floor of the house with their four-year old daughter, Diana Nicole. Although the Roques are very nice and welcoming, there’s nothing quite like the awkwardness of moving in with a family you don’t know. Awkward moments are the epitome of the Peace Corps experience and this was no different. My first night at site was rough, and I’m not ashamed to admit there were a few tears shed. I missed my fellow 19-ers, I missed my host family in Yanacoto, not to mention how much I missed my life back home in Miami! The awful hospital-looking gurney/cot they put in my room for me to sleep in didn’t help either. Not only was it tiny, but when I sat in the middle, both ends of the mattress flew up. I know this is Peace Corps, but c’mannn . The good thing is I was exhausted and fell asleep before I could give anymore thought to my new living situation. these night buses are legit, trust me.